Elizabeth Tolzmann has been selected as the Director of Ramsey County's Policy & Planning division. Her responsibilities include leading planning and policy analysis across the organization which informs the county's strategic priorities and supports its vision, mission and goals. She begins work at Ramsey County on July 10. Tolzmann currently serves as the Assistant City Manager for the City of Bloomington where she facilitates strategic planning, organizational leadership, employee engagement, workforce development, inclusion and equity, and community engagement efforts for the city and community. Prior to this role, she worked for Hennepin County as the Workplace Culture Specialist for Public Works and for the City of Brooklyn Park as a Community Engagement Coordinator. Early in her career, Tolzmann served as a law clerk and certified student attorney in the Ramsey County Attorney's Office. 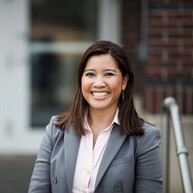 Tolzmann received her Juris Doctor degree from the University of St. Thomas School of Law and bachelor’s degree in business/marketing from the Carlson School of Management at the University of Minnesota. She resides with her family in the Hamline-Midway neighborhood of Saint Paul. "We're thrilled to welcome Elizabeth to Ramsey County," said County Manager Julie Kleinschmidt. "Her unique experience and regional background in public administration and community engagement is a valuable and timely addition to our Policy & Planning division, executive leadership team and, ultimately, our residents." Posted on Wednesday, June 21, 2017 - 2:46 p.m.